The United Nations Biodiversity Conference will be held from 13 - 29 November 2018 in Sharm El-Sheikh, Egypt. CEO Naoko Ishii spoke at the African Ministerial Summit on Biodiversity on 13 November 2018 in Sharm El-Sheikh, Egypt. 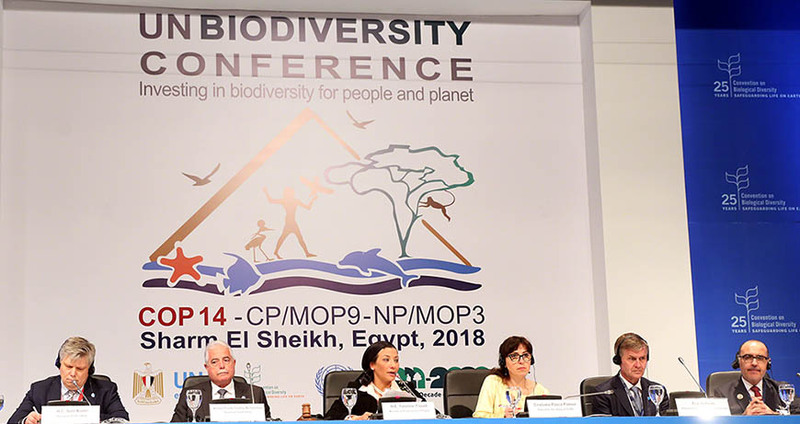 The United Nations Biodiversity Conference closed in Sharm El Sheikh, Egypt on 29 November 2018. Ms. Ishii was also quoted in the press release issued at the official closing of the conference. Governments meet in Egypt to build momentum for a New Deal for Nature and People 2018 UN Biodiversity Conference held under the theme of “Investing in Biodiversity for People and Planet"